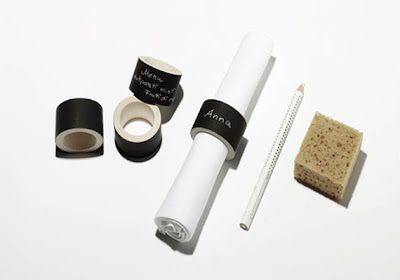 Names and Notes Napkin Rings let you reuse the same name cards no matter who you plan to invite. They have a black "chalkboard" surface that you can write on and erase over and over. Check them out.